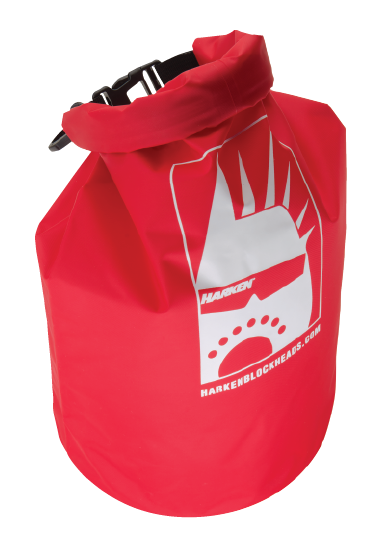 Harken Blockheads | Blockheads Gear is Here! We’re pleased to introduce this collection of unique gear and accessories that will keep you looking good on the water. Place your order by December 15th for guaranteed delivery before the holidays. Blockheads gear on harken.com is for sale within the USA only. You must be 18 years or older to purchase. 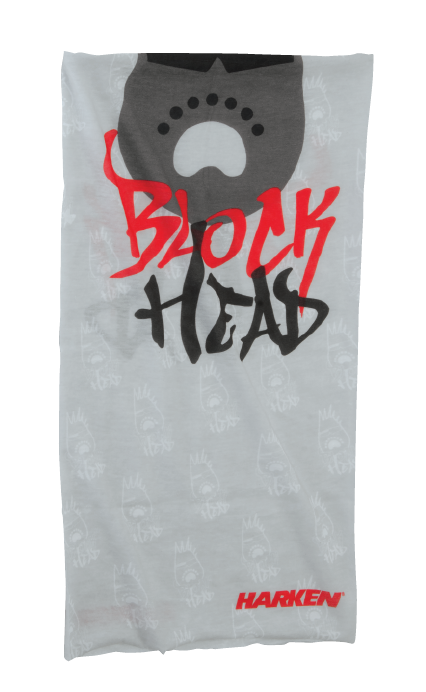 Rock your Blockheads pride with this vibrant and edgy rash guard. The collared neck and tapered arms help protect your skin from harmful UV rays while feeling comfortable all day long. Nylon and Spandex blend. Rash protection. 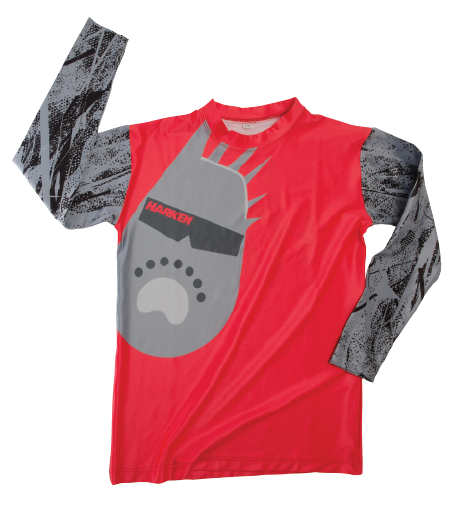 Moisture-wicking, quick-drying, breathable. Imported. Keep your lunch and valuables safe during sailing with this bright and compact dry bag. Eat, roll, and stow. Fully-taped seams. Durable buckle with clip. Polyurethane-coated nylon body. Imported. Show the competition you mean business while keeping harmful UV rays off your skin with the Blockheads Brandana. Explore over a dozen ways to wear this multifunctional headwear, from sun-up to sun-down. 100% polyester. Seamless construction. Moisture-wicking, quick-drying, breathable. Imported. What exactly is a Blockhead? If you are totally obsessed with how to rig and sail your boat, you might already be one! Join the community of Blockheads to learn more about the sport, engage with others and share sailing experiences. This site serves as the hub for Blockheads globally, where you can discover how to join, media, tips and tricks, contests, and events. This program is all about YOU and we want to hear from everyone! Not seeing something? Your feedback is crucial, feel free to shoot us a comment or message. © 2019 All rights reserved, Harken Inc.